Alstroemeria Virginia is a lovely white variety. 80cm tall & wholesaled in 10 stem wraps. 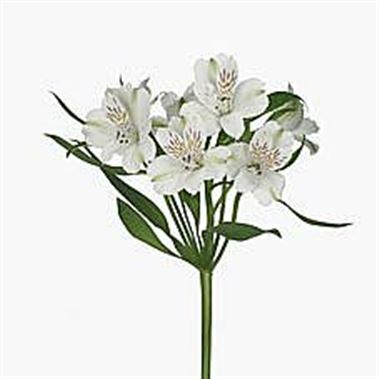 (Please note, alstroemeria flowers take a few days to open).